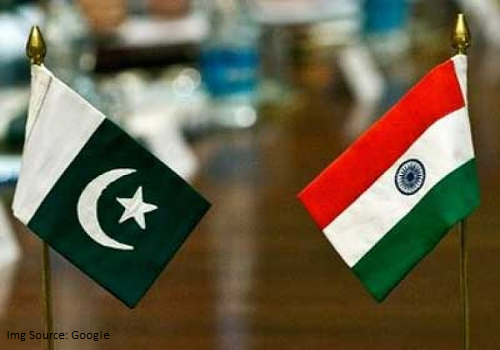 India has said the ball is in Pakistan's court on holding Foreign Secretary-level talks as it was for Islamabad to decide on readiness to discuss issues of cross-border terrorism, vacation of illegal occupation of parts of Jammu and Kashmir and closing down terror camps. In a response to his Pakistani counterpart Aizaz Ahmad Chaudhry's offer for talks on Kashmir, Foreign Secretary S Jaishankar said on Thursday discussions should focus on cessation of terrorist activities in J&K and ending incitement to violence and terror in the Valley. Briefing reporters, MEA Spokesperson Vikas Swarup said Jaishankar conveyed that he accepts his counterpart's invitation to visit Islamabad but made it clear the discussions should focus first on the pressing aspects of the J&K situation flagged by him. Deliberations should also focus on denying safe haven, shelters and support to terrorists in Pakistan who have escaped Indian law, Jaishankar said in his letter. "The ball is in Pakistan's court now. They had made an offer, We have responded to the offer. It is up to them to carry it forward," said Swarup. In his letter, the Foreign Secretary also underlined the importance of bringing to justice all those guilty in Pakistan for the attacks in Mumbai and at Pathankot airbase. "He said that his visit should provide the opportunity to receive a briefing from Pakistan's Foreign Secretary on progress in this regard," said Swarup.